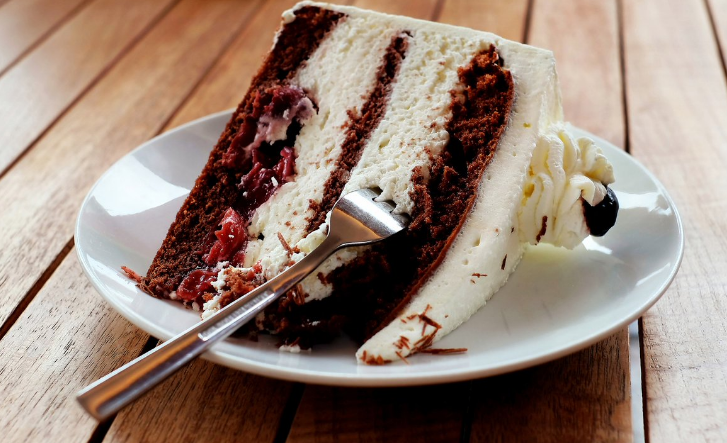 I am sure many of us are familiar with cake in the office – cakes to celebrate a colleague’s birthday, cake sales for fundraisers in the office canteen, exotic sweet treats brought back by co-workers returning from holiday, and office bake-offs between competitive teams. The BBC reported last year that this ‘office cake culture was a danger to health’ and the Royal College of Surgeons argue ‘workplace cake culture’ is impacting the health of workers in the UK, citing obesity and dental problems as key issues caused by such activities. The latest report from the Royal Society for Public Health (published in August 2016 and featured here on the Work Wise UK guest blog by Shirley Cramer CBE in November 2016) discusses the impact of rush hour commuting on our health and well-being and notes that unhealthy food and drinks that are made available by outlets in train stations during our commute is potentially adding ‘an average of 767 calories’ to our diets each week. And only in January of this year, The Telegraph reported that civil servants had been warned that ‘office cake culture could be a public health hazard’ by a blog post written by a member of the Treasury’s ‘Wellbeing Workstream’. Whilst I am not disputing the issues raised in these reports – they highlight important timely and relevant concerns around the health of the UK workforce – I would like to raise some further questions and thoughts about what other role cake plays in our offices today. Office cake culture isn’t just about health concerns – my argument here is that food plays a vital social, cultural and political role in office life and organisations should be considerate of the relationships and interactions that are centred around food. I have been doing some research in a large public sector organisation about the food and drink consumed in their office – or more specifically, their new open-plan office. I am exploring the interconnectedness of food, work, people and space and considering how the ‘foodscape’ (where and how people encounter food in the built environment) of the workplace influences food consumption and social interactions at work. I have been asking: In what ways does space influence where we eat, what we eat and with whom? What is the role of food in our organisational environment and how does it impact everyday spatial practices? How might formal and informal eating practices alter our everyday experiences of space at work? To help address some of these questions, I asked the staff I worked with to take photographs of their daily interactions with food in the office. They took photographs of food in the canteen, home-made cakes on desks, tins of biscuits on locker tops, and where they made tea and coffee. They talked to me about what meanings these held and why they were important in their everyday lives. Some of the findings show how formal, designated spaces for eating and drinking, such as the canteen and tea stations, are popular with many workers. Eating lunch in the canteen with groups of friends is a daily ritual and provides opportunities to talk about personal lives, gossip, and a time and space to share hobbies and interests. The tea stations, designed by management and the architects to provide a space in which workers could meet whilst making a hot drink, are identified as ‘nice chatting areas’. However, although the tea stations provide a space to share a few words with colleagues and allow for chance meetings with others, due to their central public location in the open-plan office conversations here are brief and inhibited by the visible and audible nature of the space. Participants noted these drinking spaces were neither suitable for private or work related discussions. During our discussions, workers reflected on their new open-plan, hot-desking environment and told me they felt this workplace design impacted negatively on teams and working practices: ‘…we just don’t get the banter around the office…not social banter, but I mean sort of asking for advice on what we’re doing…now we’re hot-desking it can be isolating…and there are too many people around’. In amongst these feelings of isolation, what these workers really appeared to value was the informal, ad-hoc sharing of food at desks and on locker tops in walkways and corridors. It is the ability to share food across this new office space that workers identify as key to bringing people back together and reconnecting conversations. Sharing food in this way is an important catalyst in promoting work based discussions and internal networking; ‘…people come and see us when we have food! It gets people talking…’ and ‘…cake, it’s really important…it breaks up the day, gives us a treat…it impacts on morale in a big way’. It is worth reflecting here that, as a number of researchers have noted, open-plan offices are often designed with collaboration and teamwork in mind, yet here we see the word ‘isolating’ being used to describe how this new open-plan space is experienced by its users. It is somewhat ironic that workers feel isolated with ‘…too many people around’. Nonetheless, it seems it’s the combination of both open-plan space with food that produces a collaborative working environment for these workers. Indeed, one employee describes the placement of food on locker tops as how people ‘…display their wares and encourage people to talk more’ and how this ‘…encourages passers-by to stop, talk a bit of shop, eat and move on’. Paradoxically, despite all the talk of talk, social interactions and connecting over cake, workers also identify the inability to eat alone as problematic. The very sociality of eating poses privacy issues for some and the open-plan, hot-desking environment presents particular challenges. Some identify the canteen as a space where the ‘pressure to talk’ is unwelcome. The canteen has been designed and is used by many as a social space where bench seating and long tables promote conversation and create a setting where meals are eaten together. Yet, for example, one worker told me ‘…I just want go and sit and eat my lunch and get back to work’ and is frustrated there is no opportunity, or rather no space, in which he might dine alone. The spatial and social expectations in the canteen are such that talking over lunch is a prerequisite. Indeed, a number of workers deliberately choose to eat lunch at alternative times of the day in order to avoid eating with others. Consequently, alternative spaces for private dining are frequently sought out. Almost half the workers I spoke to took photographs outside the office, at various locations in the nearby city centre that captured where they liked to eat, including cafes, parks, and benches by the river: ‘…I can…sit on the green and have a bit of peace and quiet and eat my sandwich’. Others talked about finding alternative meeting and eating spots in cafes so they could ‘…talk about sensitive materials…’ over lunch or ‘…have a bit of a gossip…’ As we heard, the tea stations offer a nice chatting area, but as one worker said ‘…you’ve got to be careful because obviously now we are open plan, everyone near that area can hear what you’re saying!’ It seems only certain sorts of conversations can be had over food in the office and if privacy is required, alternative eating spots are pursued. So far, my research has unearthed a complex picture of the foodscape of work – it throws new light on the appropriation of space in the office, re-defined by workers as informal eating locations and spaces for informal munching and chatting, vital for their morale, team communications and internal networking. It has also emphasised that the boundaries of a workplace foodscape are fluid and that we don’t just eat in the office and we don’t always want to eat with others. Sometimes solace is sought and eating a sandwich alone offers workers rare moments of contemplation and reflection in an otherwise impermanent, visible, and public working world. In this current climate of health and well-being programmes and the drive for a healthy workforce, organisations might wish to take heed of the complex meanings of food across the landscape of work before implementing such programmes or raising alarm bells that cake in the office is a public health hazard. Indeed, other discourses around health and eating at work promote messages that food should only be consumed in designated eating spaces, and not at ones desk. This comes from other health and safety perspectives where workers are encouraged to take ‘proper breaks’ and avoid working through lunch breaks as well as organisations who demand a clean and tidy office, with clear rules ‘not to eat at your desk’. However, if organisations are serious about understanding the eating habits of their employees, they should understand that food matters at work, but not just in the canteen and not just in relation to health. If organisations wish to remove food from parts of the office, they should be mindful that they are potentially removing the very catalyst that promotes sociality at work and confiscating edible symbols of collegiately. In addition, organisations must be wary of their disciplinary approach to eating in the office and how, perhaps, this undermines the needs of some workers and marginalises others’ food choices and behaviour. We might reflect on the lack of space in which workers are able to eat privately and consider that eating at ones desk is perhaps less about working through a lunch hour, and actually more about simply creating a personal space in which to eat alone and enjoy a moment of peace and quiet. I hope that some of the questions I raise here, and in my research, may provide a starting point for other, future research into food, eating and the workplace – we might want to consider; what do the foodscapes of homeworkers look like and how are they experienced? How are foodscapes experienced and constructed by workers on the move or flexible workers without desks or offices? To what extent should we be concerned with ‘office cake culture’ given its social, cultural and political importance for workers? It is with these questions in mind that I end this blog and ponder over the future of food in the workplace, over a sandwich and coffee at my desk. Harriet’s research will be published in a book later this year: Kingma, S., Dale K. & Wasserman, V. (Eds.). Organizational space and beyond: The significance of Henri Lefebvre for organizational studies – an edited collection. London: Routledge. Harriet will be discussing her research at the 12th Organization Studies Summer Workshop ‘Food Organizing Matters: paradoxes, problems and potentialities’ in Crete 18th -20th May 2017. Harriet is also supervising UWE Bristol Business School dissertation student Susannah Robinson, who is exploring the culture of food at work in a multinational organisation in London. Original blog post taken from Work Wise.